I haven't encountered very many aquatic heroes and heroines in my science fiction romance adventures so far, and I think I know why: How does one make a fish guy or gal sexually attractive to his/her future mate, especially if the mate is a human? The word “fish” tends to connote things like scales, coldness, sliminess, fish lips, and the like. And don’t get me started on when I’m eating fish and I bite into a sliver of bone. Blech. I also get the heebie-jeebies if a fish rubs against my bare leg while swimming in a lake, so on that level I have a hurdle to overcome regarding viewing aquatic heroes and heroines in a sensual/sexual context. Still, execution and tone can go a long way toward making such characters believable as well as desirable. I’ve read a few SFR books featuring aquatic characters and so far, so good, but given my raging STINGRAY fanaticism that’s hardly enough. I would really love to read more stories that take place in a water setting, whether right here on Earth or on an alien planet. I see them as having great potential as far as characters, action-adventure elements, and cool tech. 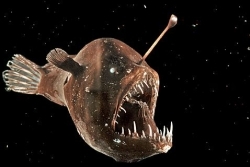 Oh, and keep in mind that I really dig those dynamite deep-sea fish creatures, so feel free to throw in a few of those as well. 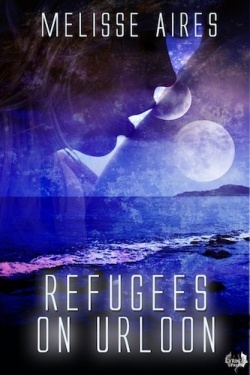 REFUGEES ON URLOON by Melisse Aires features characters who adapt to the planet Urloon by transforming into aquatically adept humanoids. The author had only to mention the magic phrase “genetic engineering” and that was enough for me. Plus, there’s lots of shiny details about the specific biological features associated with the adaptation. 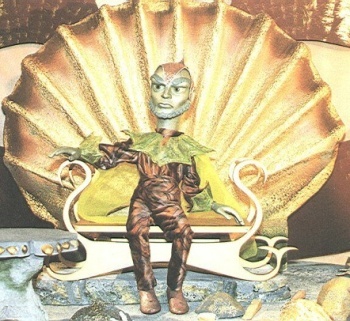 It may not be hard SF, but it sure was fun fantasizing about what it’d be like to live beneath the sea in that world. 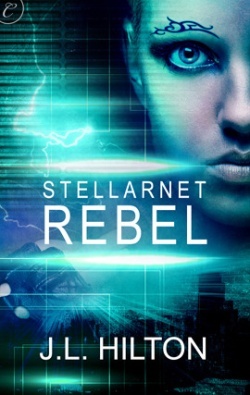 In STELLARNET REBEL by J.L. Hilton, the hero is an alien humanoid of the amphibian variety. He doesn’t spend very much time in the water (for a reason), but the reader experiences his aquatic Otherness in a variety of ways. One bonus is that the story explores the hero’s culture as it pertains to relationships, romance, and family structure. I’d explain my favorite bit of social commentary but that would constitute a spoiler—sorry! TRUE BELIEVERS by Maria Zannini features an alien hero with “moisture ducts” a.k.a. gills and also “double eyelids” that induce a “white membranous film” to cover each eye for enhanced underwater vision. Nice! I don’t recall that this aspect of the hero’s anatomy translated to very much aquatic action during the story. But because I’m a STINGRAY fan, the author gets an “A” for effort! If you know of any sci-fi romances that showcase aquatic heroes and heroines, hit me up!